Sunshine.co.uk, our long-term online travel agency client, continually get great coverage, whether it's for interesting survey results that they reveal or fantastic holiday deals. 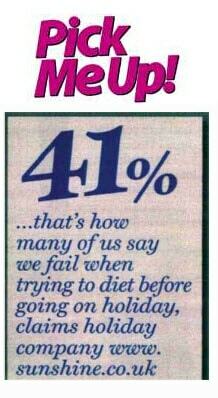 Over the past few days, Sunshine have had an awesome holiday late deal for the Costa Del Sol covered within The Sun, as well as stats from a recent survey being covered in Pick Me Up showing just how many of us try and fail at dieting ahead of going on our holidays. Both pieces of coverage can be found below.